Could the Admiral X-Force 145 be the most expensive yacht ever? Let’s find out! The Italian company, Admiral Yachts, is known as a luxurious company that has launched 136 one-of-a-kind yachts ever since 1966. Their only goal is to make the dreams of their yacht owners come true. And today, with the technology available they can turn exciting projects into reality, such as mega yachts of 150 meters long. 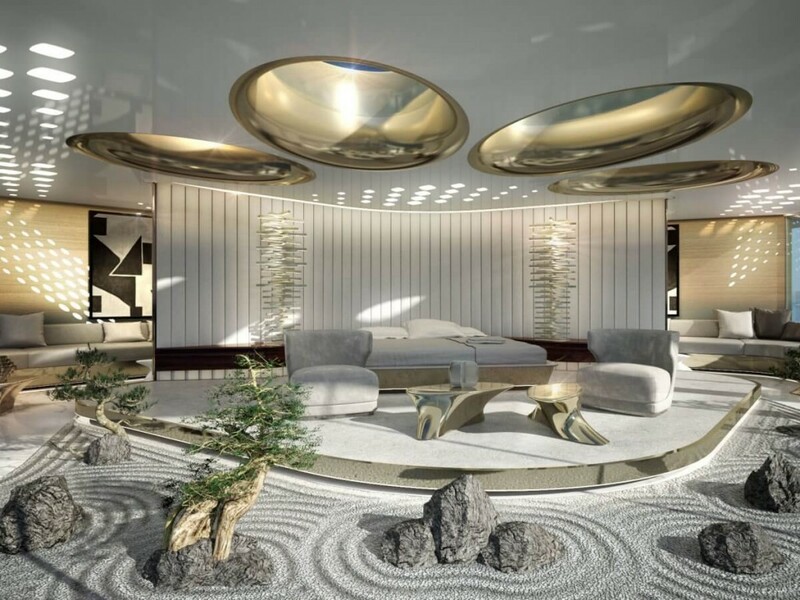 The new yacht in their fleet is the Admiral X-Force 145 which features dynamic spaces including full-height windows, an indoor pong pool, two helipads and spiral staircases. 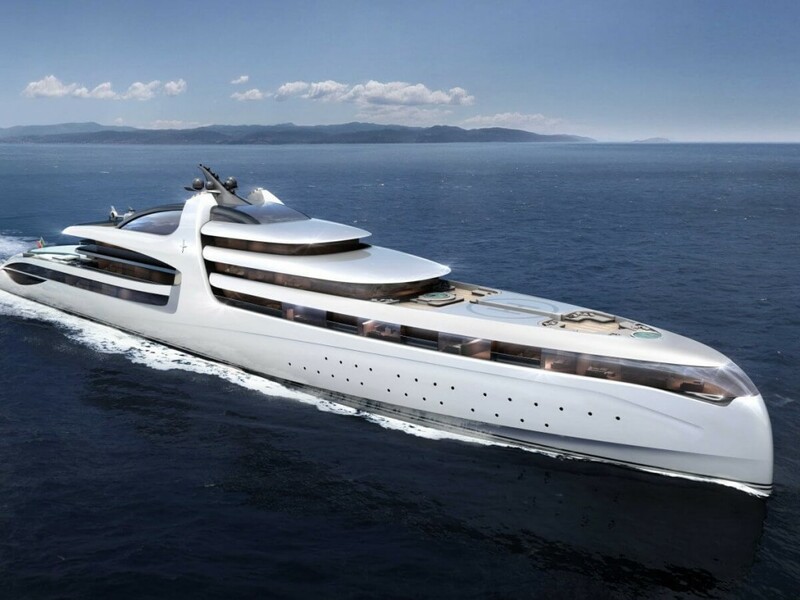 This mega yacht was designed by Monaco-based studio Dobroserdov Design and is set to measure 476ft in length. 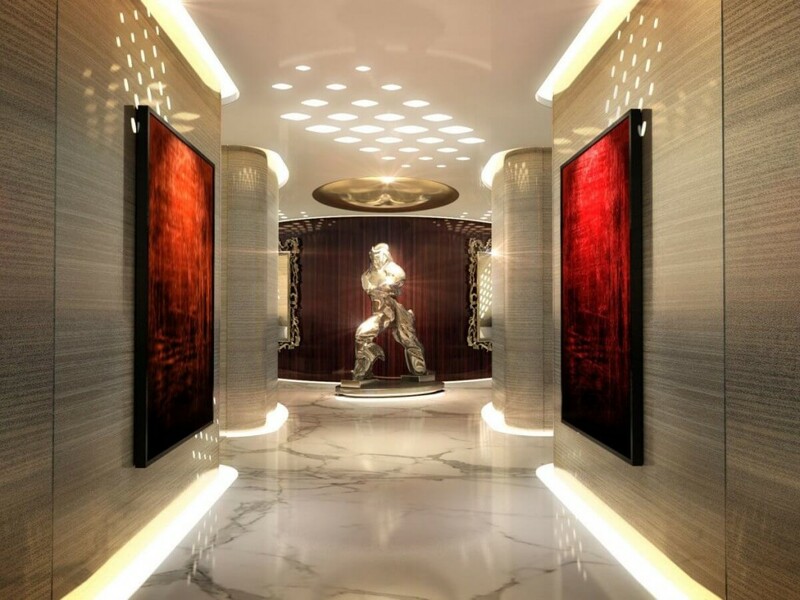 At the stern of the Admiral X-Force 145 is a double-level beach club and spa area, designed by Turin-based architect Gian Marco Companino Design. 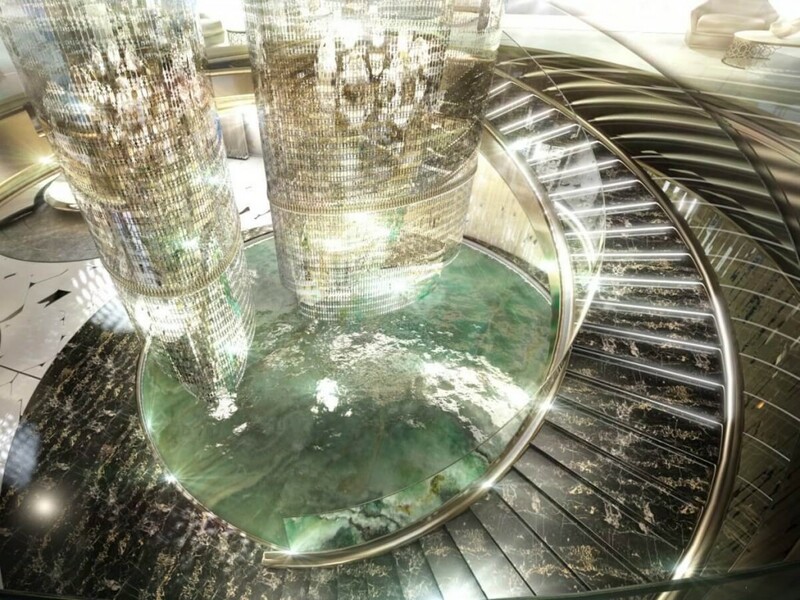 The beach spa will act as the giant vessel’s entertainment section. 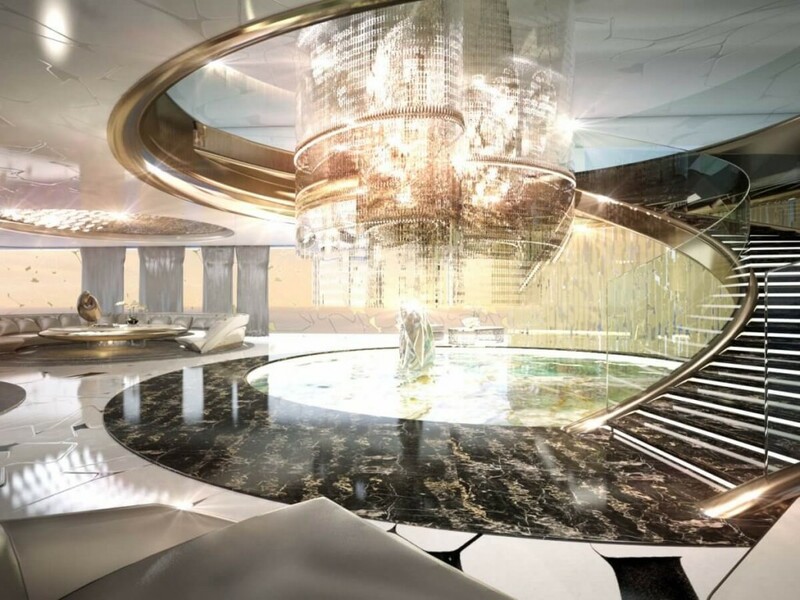 The Admiral X-Force 145 interior is truly mind blowing because it will include a double pair of glass lined spiral staircases and floor to ceiling windows, multiple gyms and wait for it… a garage! And let’s not mention of both an indoor and outdoor pool, sunbeds and a bar, and at top of the yacht will be two cinemas, gyms and the garage. One-half of the deck is dedicated to the exclusive use of the owner, while guests stay in VIP suites equipped with personal balconies. The price for this beauty? 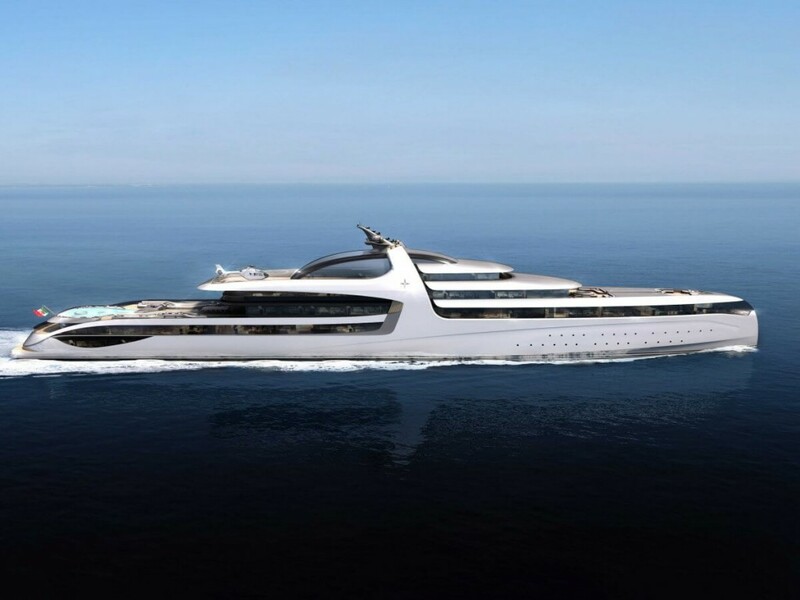 The company says that the price of this mega yacht will only be available on request. But we managed to find out an estimated price of $1 billion from the Daily Mail. 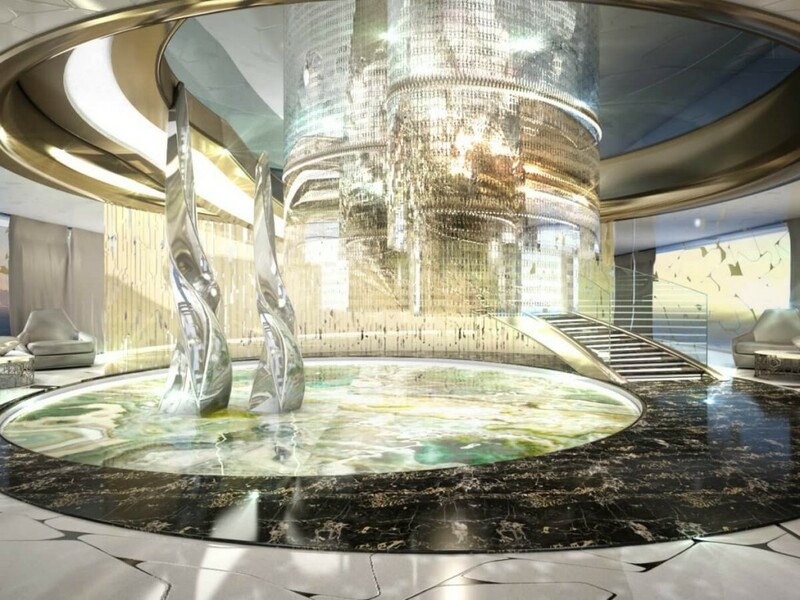 ‘From the bow of the yacht where an observation lounge has been located, assuring to VIP guests a breathtaking panoramic view, to the stern area where a double level beach club and spa with both internal and external swimming pool really makes this project unique. ‘With her design and general arrangement plan, the Admiral X Force 145 is one of the most impressive and outstanding yacht of her size, offering a new perspective within the mega yacht world. ‘It confirms the placement of The Italian Sea Group at the top of European shipbuilding in terms of know-how, history, production capacity, facility and technical experience.’ -says the company on their website. 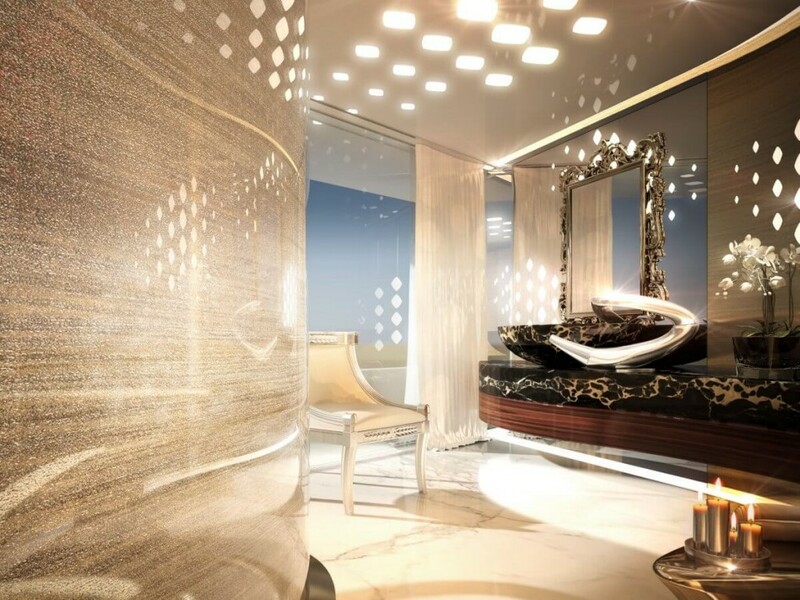 The curved lines of the exterior are mimicked in the interior design as well. 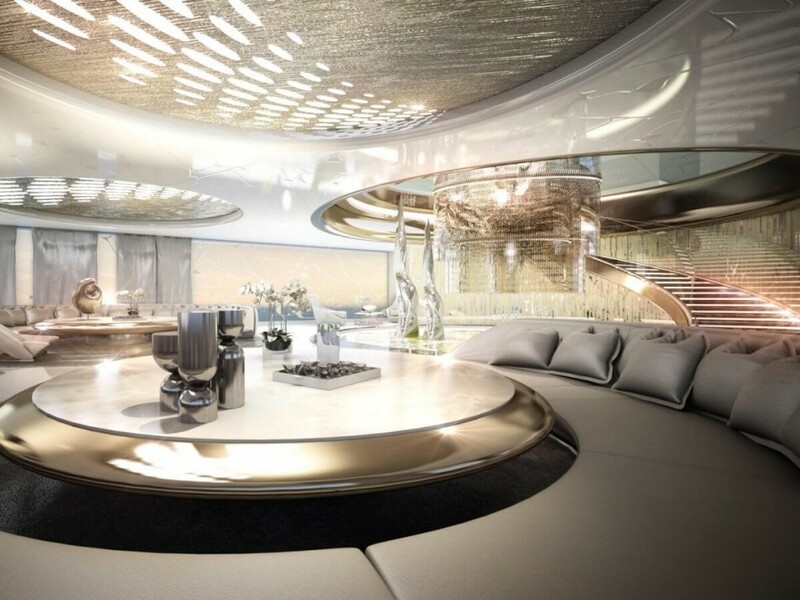 The entirety of the Admiral X-Force 145 super yacht is full of double-height spaces, including the double-height main saloon. More about the yacht on the company’s official website: admiralyachts.it. 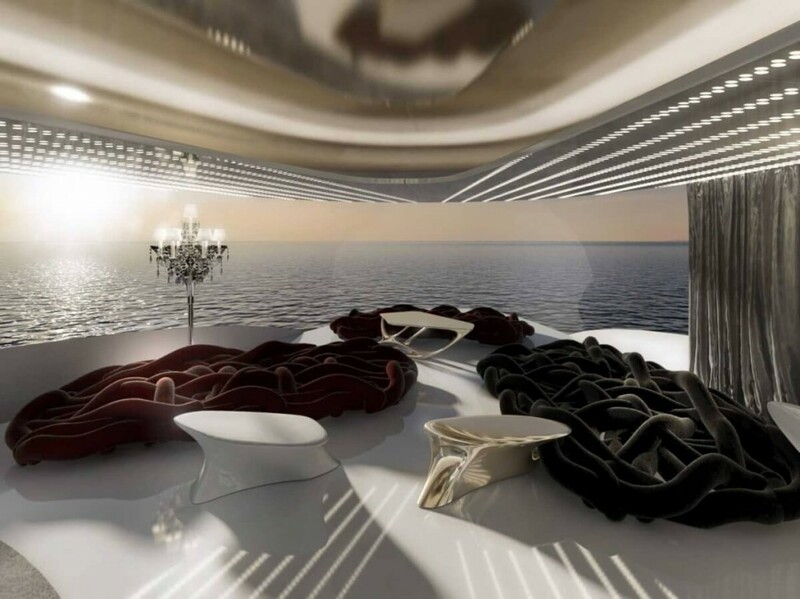 And make sure you also check another amazing concept yacht by Andy Waugh. 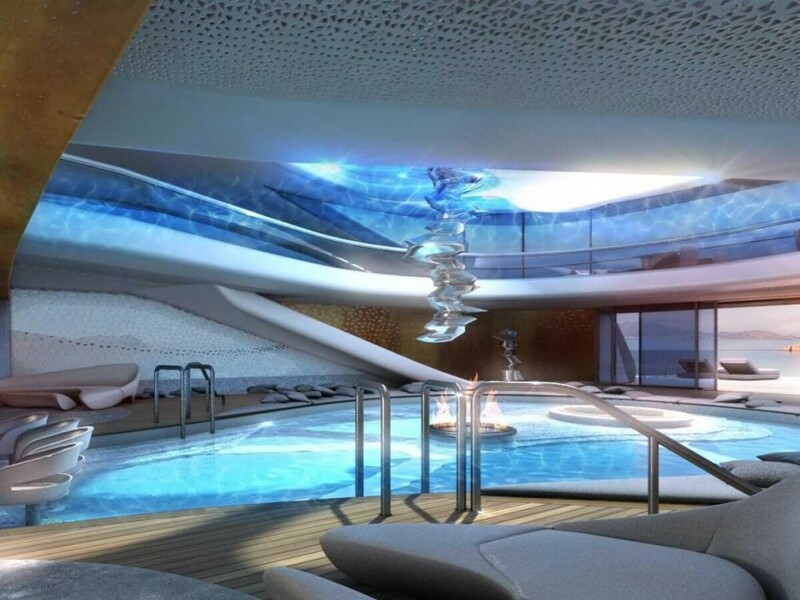 What do you think about this amazing mega yacht? Would you like to see one from the inside? And to be the owner of one?